Merlin's back, he needs his secret potion. Gandalf? Is this where those ships went? I bibbly bop, a bibbly boo, I need a beer, How about you! Man. 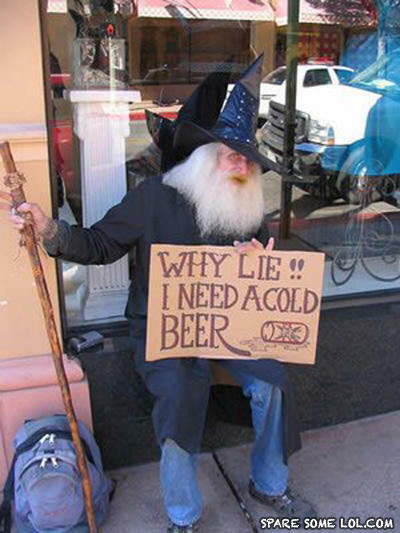 I'd buy a wizard a beer. One does not simply WALK into the liquor store!